 Don’t miss Taster Day – Sunday 14th September! For all talented 14-30s, an exciting creative arts day with the most amazing performing arts team in North London! 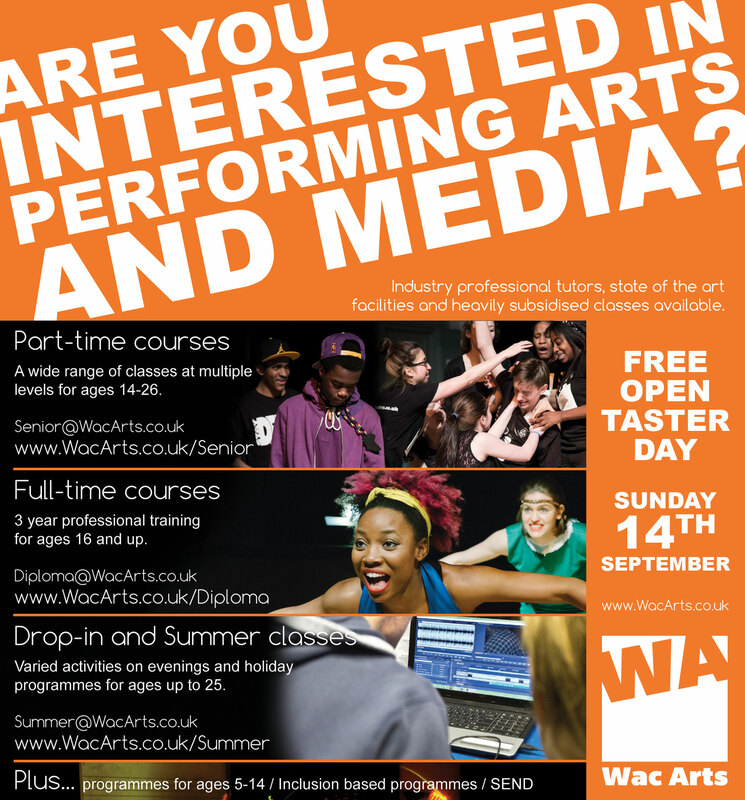 Taster Day at Wac Arts is a chance to try out classes, meet the tutors and audition to join our programmes. You can find out more about our evening and weekend classes and this is also the final audition opportunity for the 2014 intake of our three-year, degree equivalent, Diploma course. Sessions are offered in drama, jazz and street dance, video production, physical theatre, reggae-contemporary dance, studio engineering, music technology and more! So come along and have a look around for yourself! Taster Day runs from 9.15am until 6.15pm. If you haven’t preregistered you can still take part by coming to the centre to register before the day starts at 9.15am. 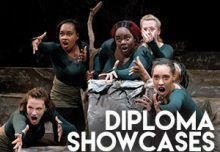 If you are interested in the Diploma course, please contact the Diploma office directly to arrange an audition schedule on 020 7692 5872. Looking forward to seeing you on Sunday 14th! 3rd year Diploma performances coming up! 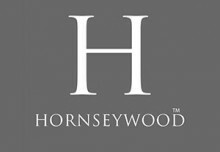 Wac Arts are pleased to announce their Artist in Residence for 2016, Carl and the team of Hornseywood! 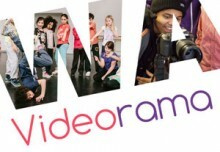 Easter Holiday Project – Videorama! Wac Arts Welcomes Uchenna Dance! Come along this Monday 8th and join in our community choir!